Simon Bottle is Watertight’s Director of Consulting. He is a Watertight Certified Practitioner. 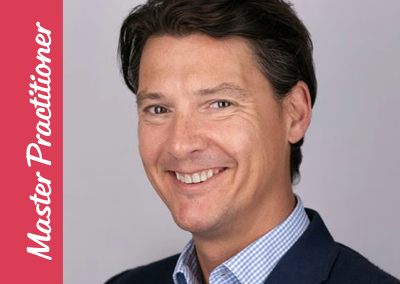 One of Simon’s primary roles is to work with larger corporate firms to help them to internally align across management, marketing, sales and client service as one collaborative and creative whole. Ensuring these functions all coming together as a well-oiled machine is critical to the delivery of marketing that provides the customer everything they need to make the right buying decision and so underpin an organisation’s sales growth. Simon’s experience has shown repeatedly that alignment is “where the magic happens”. Simon has a background as a consultant in blue-chip corporate transformation projects and so is an alignment specialist. Having graduated from Manchester University in Law he started his career at Goldman Sachs helping them to grow/run their consulting division. In 2008 he began freelance consulting on change and marketing interim roles including as COO for a City asset manager. Simon has delivered big chunks of change on projects as diverse as organisational restructuring, offshoring, big IT re-platform projects, product development from idea to launch and CRM implementations. As Director of Consulting, Simon is the link to Watertight Marketing’s Expert Community for bigger corporate firms, matching the specific needs of the client to the strengths and specialisms of our consultants. Corporate alignment – Simon gets a firm’s internal teams aligned with their customer focused marketing to provide a direct impact to sales performance leveraging Watertight’s Team Alignment methodology. Transformation – as an experienced project and programme manager and marketeer, Simon has the skillset to manage and deliver transformative marketing projects. He has worked with the c-suite of companies to produce their growth marketing strategy and plan. He has then setup he infrastructure and framework to enable the execution of the marketing activities required to grow sales. CRM – Simon specializes in marketing streams of work that are processes, procedure, system and automation orientated. This allows him to get into the nuts and bolts of a client’s existing processes and recommend target operating model improvements.